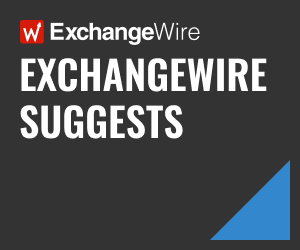 In this weekly segment, ExchangeWire sums up key industry updates on ad tech from around the European region – and in this edition: ID5 at Scale in Europe, Rolling Out Its Shared ID Infrastructure Globally in 2019; Amazon Prime Video Seeks Agency Amid European Expansion; Settlement Reached in DMEXCO Dispute; Voxnest Partners with DAX to Create Audio Monetisation Opportunities for Publishers; and Sublime Extends Its Range of Mobile Advertising Solutions to Offer Users a Truly Tailored Mobile Experience. Just over one year after its launch, ID matching specialist ID5 announces that it now reaches one billion devices per month in Europe and provides matching capabilities with more than 35 ad tech platforms. Created in September 2017, ID5 has built a shared identity solution for ad tech and publishers to solve the problems created by cookie matching. After raising €1m (£885k) in a seed round led by 360 Capital Partners in March 2018, ID5 built a team of nine, recruiting advertising technology experts from AppNexus, Rubicon Project, Sizmek, and Oracle Data Cloud. Thanks to its neutral and specialised service focused on reducing the number of synchronisation pixels and improving match rates, ID5 has gained rapid traction with leading ad tech companies. The ID5 graph currently includes users IDs from more than 35 platforms including Adform, AppNexus, Avocet, Bidswitch, Dailymotion, Eyeota, Improve Digital, Platform161, Purch (now part of Future Publishing), Semasio, ShareThis, Smart, Tapad, and Weborama. The company also enjoys strong support from multiple European publishers, which leverage the ID5 services to improve user experience, reduce risks of data leakage, and facilitate GDPR compliance. SSPs can leverage ID5’s solutions to increase their match rates with DSPs and DMPs and maximise availability of their most valuable inventory. Publisher technology provider Purch leverages ID5’s service to improve its match rate with AppNexus. Over the summer, Purch saw a 30% reduction in the number of unmatched impressions. Matched impressions deliver CPMs 3-4x higher than unmatched impressions, resulting in a 10% increase in revenue from AppNexus in France and the UK, where the service was initially deployed. 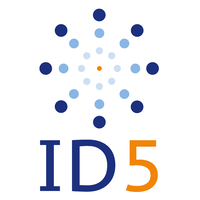 ID5’s solution also enables DSPs to connect seamlessly to data and inventory providers, and to improve match rates with premium supply partners. Platform161 , a leading European DSP, experienced a 65% increase in number of bids on AppNexus inventory by leveraging ID5’s matching capabilities. Finally, DMPs and data providers can benefit from better match rates with each other’s and into DSPs, which means higher proportion of first-party data targetable for clients. Thanks to ID5, data providers and DMP users can forecast the size of audience segments available to buyers, so that they can define appropriate pricing structure and manage expectations. ID5 has measured improvement of 50-100% in match rates between data providers and Ad Tech platforms, significantly increasing the ability to monetise data via programmatic channels. Amazon Prime Video is seeking an agency for a brief covering France, Italy, and Spain, reports Campaign. It is understood that Droga5 London, Fold7, and MullenLowe are among the shops vying for the business. Tissue meetings were held last week. Koelnmesse, represented by its managing directors Gerald Böse and Herbert Marner, and KDME, represented by Christian Muche and Frank Schneider, have settled their dispute over the termination approximately one year ago of their consultancy activities for the DMEXCO trade fair. Koelnmesse, KDME, Muche and Schneider reached a settlement on 27 November, 2018. It was agreed not to disclose the content of the settlement. Everyone involved welcomes the fact that the dispute is over and that a reasonable agreement has been reached. They all regret the development of the past few months. Koelnmesse would like to thank Christian Muche and Frank Schneider once again for their very successful development work for DMEXCO since 2009. Podcasting solution provider Voxnest, announced Wednesday (28 November) a partnership with digital audio advertising platform DAX that will bring publishers in the UK a turn-key solution for creating, monetising, and distributing digital audio. The deal brings together the expertise of the two companies to enable current publishers of audio content to grow audience and revenue. Additionally, the all-in-one solution will facilitate entry into the growing audio market by publishers who have yet to capitalise on the medium’s increasing popularity, while giving brands and advertisers the ability to connect with relevant and engaged audiences at scale. 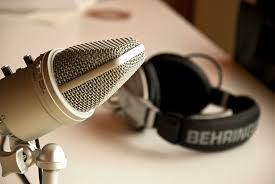 The deal with DAX is a continuance of Voxnest’s goals to support the growth of professional podcasting and deliver value throughout the entire ecosystem. Voxnest customers, including those on the company’s Spreaker platform, now have the benefit of DAX monetisation, while advertisers can take advantage of advanced targeting and measurement solutions. Global, the media and entertainment group, created DAX in 2014 to give advertisers access to millions of people listening to digital audio through premium publisher brands. Sublime, a global high-impact advertising marketplace that creates and delivers premium ad experiences, announced Wednesday (28 November) that it has expanded its mobile capabilities to offer full-funnel advertising solutions. 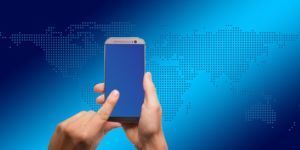 The new ad solutions, which include sticky ads and in-feed ads, have been created for mobile devices and can easily be tailored to the campaign objectives. The sticky ad units are positioned as a banner at the bottom of the webpage, which also includes a cut out option, and are displayed in full once the user reaches the end of the publisher’s content. The in-feed ads – which can display both video and images – are incorporated into the page, resulting in a seamless experience for the user as they scroll through. Thanks to its own design team, Sublime can easily activate and repurpose brands’ existing social assets to extend their reach on mobile, enhancing brand recall while driving performance. Both formats are now available in the UK, Ireland, and the U.S., and will be rolled out across the rest of EMEA and APAC in early 2019. Designed to work with high-quality inventory to capture the user’s attention and compel audiences to engage with the ad, the formats offer an impressive reach of 25% in the UK. Sublime is able to deliver these ad units in a qualitative environment, including premium publishers such as Glamour, GQ, Wired, Tatler, and Condé Nast Traveller. The launch of Sublime’s latest ad solutions strengthens its existing portfolio of creative, high-impact, and engaging formats, and follows a busy year. In August, the company opened a new office in Germany and underwent a brand transformation in September, with the launch of a dynamic new look and new positioning.